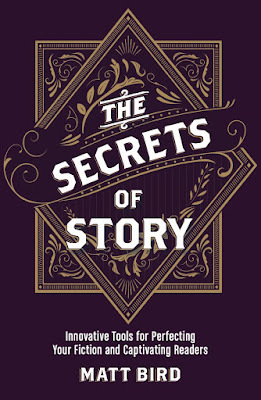 One thing I talked about before (and talk about more in my book) is the difference between empathy holes, motivation holes and plot holes and the problems you get into when you dig one hole to fill another. As I make more clear in my book, those holes should be prioritized in that order. All empathy holes must be filled, even if it means digging a motivation hole, and so on. Chinatown is a good example. As I said before, the version of the script that’s online comes from late in the revision process, but there are a few key differences. One of these explains one of the problems I had with Jake’s muddy motivation. In the finished film, it’s never clear if Jake is really working for Noah Cross or not. He kind of just sits there and listens as Cross tries to hire him to find Catherine, then changes the subject. 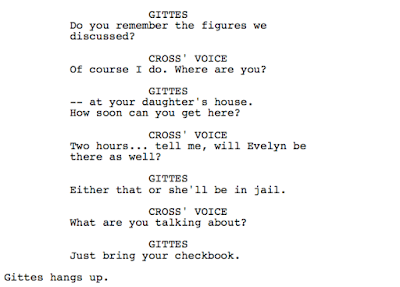 Finally, he does call Cross to tell him he found the girl, but the position of that scene changed between script and screen. In both versions, he finds the glasses, assumes that they’re Hollis’s, and assumes that Evelyn is the murderer. In the finished film, he then goes and confronts Evelyn immediately, who tells him the truth about her father, then points out that the glasses can’t be Hollis’s. He then arranges for Evelyn to leave the country, but before he actually gets her on the boat, he decides to call up Cross and tell him to come over because he’s found the girl ...but he’s only doing so in order to confront Cross about being the murderer. This brings up the huge question: why choose to confront Cross at this inopportune moment? Why not wait a few hours until Evelyn had safely gotten away? It’s a huge mistake on Jake’s part (and the whole reason for the unhappy ending) albeit one I didn’t notice until watching the movie twice in a row. Well, it turns out that this made more sense in the script. 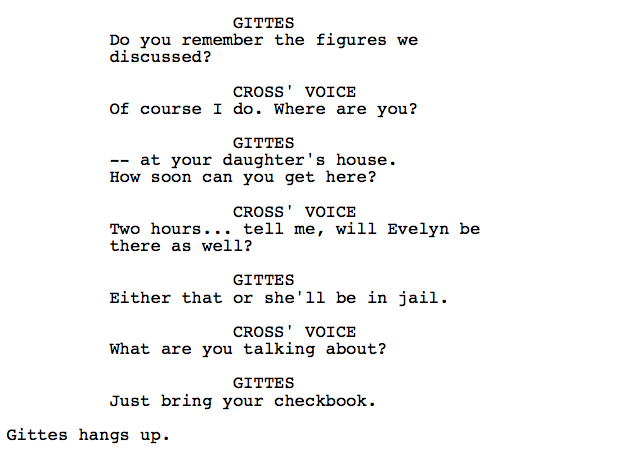 In the script, he calls up Cross before he confronts Evelyn and he genuinely intends to hand the girl over in return for a payday. By the time he figures out that Cross is the actual killer, Cross is already on his way over, and has to change plans and confront him instead. It’s easy to see why this was changed. If he genuinely takes the job from Cross, and tries to hand the girl over for cash, even if he thinks Evelyn is guilty at the time, then we lose too much empathy for Jake. If, on the other hand, he calls up Cross just to fake him out and confront him, we like him a lot better. But once they made this change, it no longer made sense for Jake to take this moment to make this confrontation. They could have let their changes snowball and, having filled this empathy hole, continued on to fill the motivation hole they had just dug, but that would have necessitated bigger changes, because then it would be harder to bring all the characters together for the finale. Instead, they left the scene where it was. It makes no sense, and makes Jake hugely responsible for the unhappy ending, but it’s better than having an empathy hole. They just figured most people wouldn’t notice Jake’s huge error of bad timing, and they were mostly right. Thank you! I've been reading for years, and just want to restate the obvious: you're the only screenwriting blogger on the internet with actual insightful content. Book ordered. I think you're definitely wrong about this. Gittes couldn't wait for Evelyn to "safely" escape because the cops were going to be there to arrest her all because of Jake Gittes. Gittes was the one who obstructed justice by leading cops to a dead end after calling his associates telling them the address in Chinatown and telling them to wait there for at least two hours, giving the cops enough time to go to his office to look for Gittes; they then find his associates who are obviously compelled give them the address Gittes provided. The confrontation with Cross was obviously intended to confront the culprit and show that he had "solved" the case, just like all the classic film noir detectives do and are all 100% vindicated. It was also obviously not smart. But in the context of the film it works because it is a clear subversion of the classic film noir detective. This mistake fits right in with the rest of Gittes' blunders and his last words of the film validate everything.